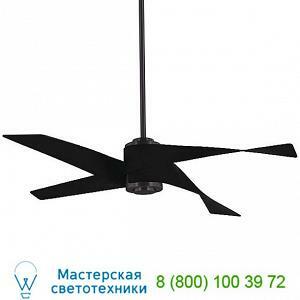 Предлагаем вам купить Minka Aire Fans F903L-BN/SL Artemis IV Ceiling Fan, светильник по самой низкой цене - ждем ваш запрос для просчета размера скидки. Features: Design In: 2018Blade pitch variesComes with light capIncludes ControlWarranty: 3 YearsManufactured In: ChinaRatings: Consumes 51.00 Watts at high speed (excludes lights consumption)8520.00 CFM (Cubic Feet per Minute) fan airflow at high speed166.00 Cubic Feet per Minute/Watt Airflow (Efficiency at high speed)Specifications: Metal / Polymer PlasticDC motor154.00 rotations per minute (motor speed)123 x 30 motor size6 number of speeds (Forward and reverse)Installation Type: Standard/With DownrodStem/Downrod included: One 6.00 in. Lamping:-1 X 20W 120V LED module, 1100 lumens, 3000K, 96 CRI (included)Dimensions: Blade: Dia 64 in Hanging: Wgt 19.93LbsMaximum Hanging: L Adj To 16 in.